“Many have contributed on behalf of those who were distressed due to the calamity. Also, Sri Lankans employed abroad, ‘Ethera Api’ organization have collected goods and money to contribute. We are thankful to them. The next stage would be to prevent such a calamity happening again. A firm step should be taken to avoid such a calamity,” said the Member of the Political Bureau of the JVP Parliamentarian Sunil Handunneththi. He said this participating in a press conference held at the head office of the JVP at Pelawatta. Speaking further Mr. Handuneththi said, “The ‘Red Star’ Relief Service Brigade of the JVP mediated during the floods in 2003 and after the tsunami debacle in 2004. It is with this practical experience we mediated in disaster relief work this time. There are about 3000 that can be mobilized for ‘Red Star’ relief services. If the state machinery had been strong in relief work the delay could have been avoided. As the state participation was minimum there were obstacles to the restoration work at the initial stages. The ‘Red Star’ Relief Service Brigade of the JVP mediated as a separate unit detached from the programmes of the government. However, we mediated initially to save those who were distressed. We gave them food. It should be mentioned that the three services did a massive service. They gave their full support to save people. We were able to go to very difficult areas due to the support of the three services. The ‘Red Star’ Relief Service Brigade was able to feed people who had been starving for two whole days. What District Secretariats and Divisional Secretariats did was to provide food for those who came to them. But it was necessary to feed people who were marooned. The government also failed to carry out second stage restoration work once the water subsided. The main issue was providing drinking water and cleaning wells. There were no water pumps or generators in Divisional Secretariats. The government only distributed goods received from private media institutions and supporters. Certain politicians of the government distributed goods received from the people under their labels. One responsible minister came down to the low level of distribution packs of five plantains with a label carrying his name. Governemnt’s relief work was limited to distributing goods. However, ‘Red Star’ and other voluntary organizations are still cleaning wells, houses, business places and compounds. Those who were battered by the disaster are not in a position to do the restoration by themselves. As such, they should be assisted. Hiniduma, Mapalagama and certain places in Rathnapura were completely submerged in water. The business places in these towns cannot be opened until they are completely restored. Also, voluntary work is necessary to bring back pre-schools, schools, hospitals to normalcy. Books and equipments in certain schools in Kalutara, Galle, Matara have been completely destroyed. ‘Red Star’ Relief Services Brigade was able to restore 7 of the 16 schools that were harmed in Galle. However, they need the government to get involved in work that goes beyond voluntary work. Ayagama town in Rathnapura was completely destroyed. The hospital and the police do not exist anymore. Hence, a state machinery is necessary to restore them. However, we do not see such a plan. The mediation of government politicians has terminated after distributing goods. Certain politicians distribute goods only to their party men. We could say with responsibility that the ‘Red Star’ Relief Services Brigade has not worked with partiality. Now a mediation to hold medical clinics is necessary. Many have contributed on behalf of those who were distressed due to the calamity. Also, Sri Lankans employed abroad, ‘Ethera Api’ organization have collected goods and money to contribute. We are thankful to them. The next stage would be to prevent such a calamity happening again. A firm step should be taken to avoid such a calamity. Also, tea industry has been broken down in districts harmed by floods and landslides. Paddy fields have been damaged. Water ways have been destroyed. There is no plan to compensate farmers who have lost their crops and other belongings. The government insurance scheme compensates only loss of life and damage to houses. How the damage is estimated is not clear. Plans should be drawn up to compensate those who lost their cultivations. If not a community of agitators would be crated like at Samasara, Moothotumulla and Salava. The government should stop people taking to the streets instead of saying agitations are wrong. We say people should be compensated without any difference. We ask the government not to underestimate the situation. Also, religious leaders mediated in a big way to minimize the suffering of the people. Certain groups attempted to rouse communalism and religious extremism recently. However, temples, churches and mosques united to carry out relief work. There was religious consensus. As such, people have practically proved that they are willing to unite. They why can’t the government do so? Certain officials have told us that due to strict decisions of the government they are unable to mediate. Hence, the government should get the officials and people to participate in restoration work. The Minister of Foreign Affairs Ravi Karunanayake held talks with Indian Prime Minister Narendra Modi in New Delhi yesterday (6th) state, Indian media. It is reported that the intention of Minister Ravi Karunanayaka’s visit to India is to hold talks regarding trade agreements Sri Lanka intends entering with India. The special commodity levy on imported sugar has been increased by Rs. 10 per kilo with effect from midnight yesterday (6th). This would increase sugar prices and all items prepared with sugar. Accordingly, the prices of tea, plain-tea, sweets and bakery products would go up in price. The National Movement for Consumer Rights Protection states sugar is an essential commodity but it has no controlled price. As a result traders sell sugar at various prices points out the Movement. However, the government states the increase in levy for imported sugar is to promote local sugar industry. The government planned to hand over more than 65,000 acres from Uva to a foreign company on the pretext of promoting sugar industry. However, many in the area including JVP Provincial Councilor have pointed out planting sugarcane would lead to environmental issues and ask the government why no programmes are promoted to cultivate other crops that are friendly to the environment and which could earn foreign exchange. England become the first team to qualify for semis of ICC Champions Trophy 2017 by beating New Zealand by 87-runs. England batting first scored 310 thanks to Joe Root (64), Jos Buttler (61 not out) and Alex Hales (56). 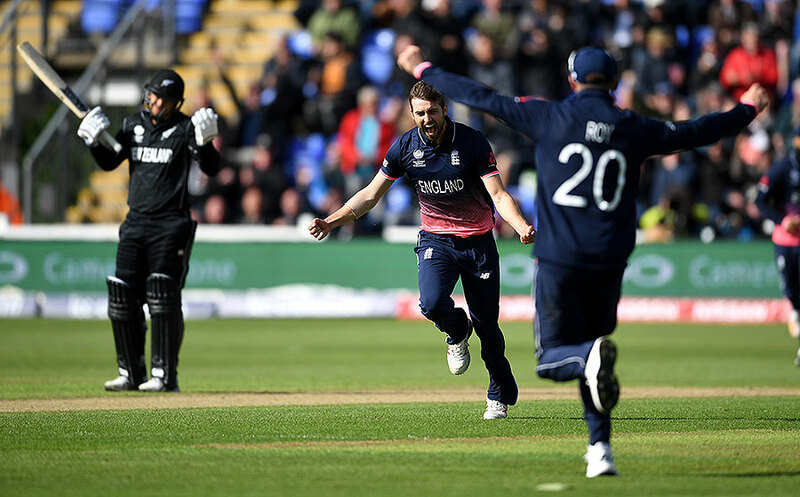 New Zealand’s chase got off to a dreadful start with Luke Ronchi dismissed for a golden duck, and though Kane Williamson hit an impressive 87, they were bowled all out for 223 with just over five overs remaining.